‘We were then taken to our room in the water lodge to have some rest until lunch time. The room was amazing, very spacious with a living area and an open fire. It included huge windows and french doors to go out to a beautiful deck overlooking the lake, with our own plunge pool and lounges’. 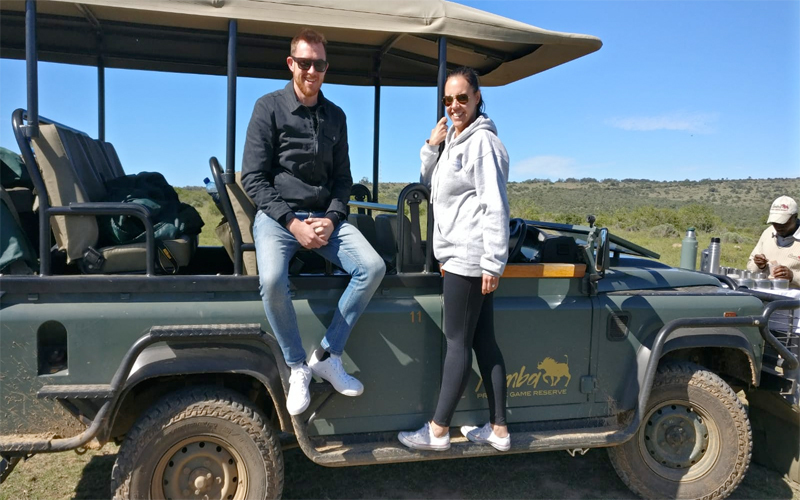 ‘After having a lovely three course meal for lunch, we then went out for our first game drive which was so incredible. Our ranger Thomas was kind, friendly and so knowledgeable. 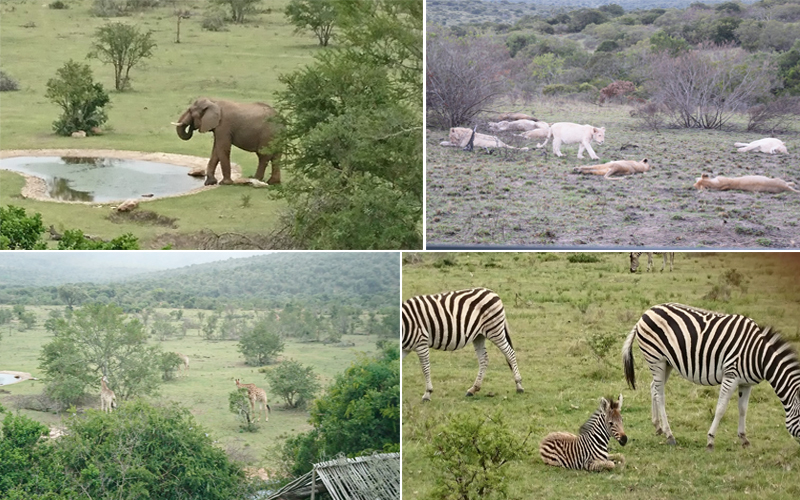 We were very fortunate to see the big 5 like the lions, elephants and many others on the safari and during our stay’. ‘When we returned we were offered a hot drink and went back to our rooms to freshen up for a three course meal for dinner. The food here was pretty good especially being all inclusive. 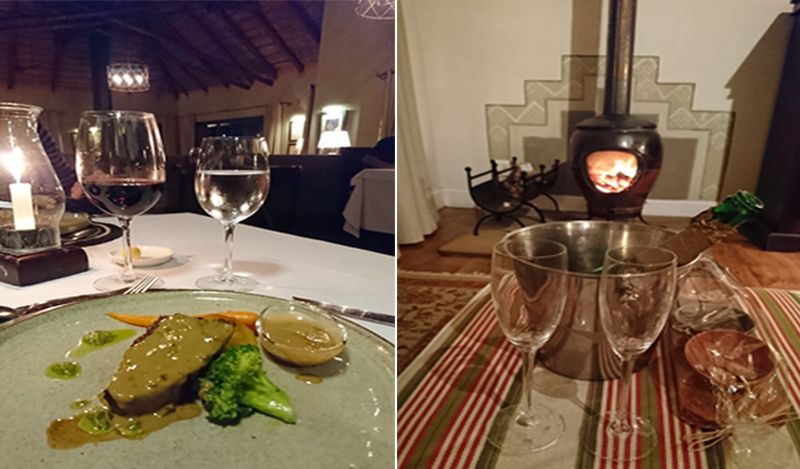 While we were at dinner the lovely staff at Pumba Private Game Reserve & Spa lit up our open fire, put hot water bottles in our bed and left a bottle of champagne for us in the room, which we thought was a very nice touch to the resort’. ‘The next day we woke up early for another morning drive which again was an amazing experience. 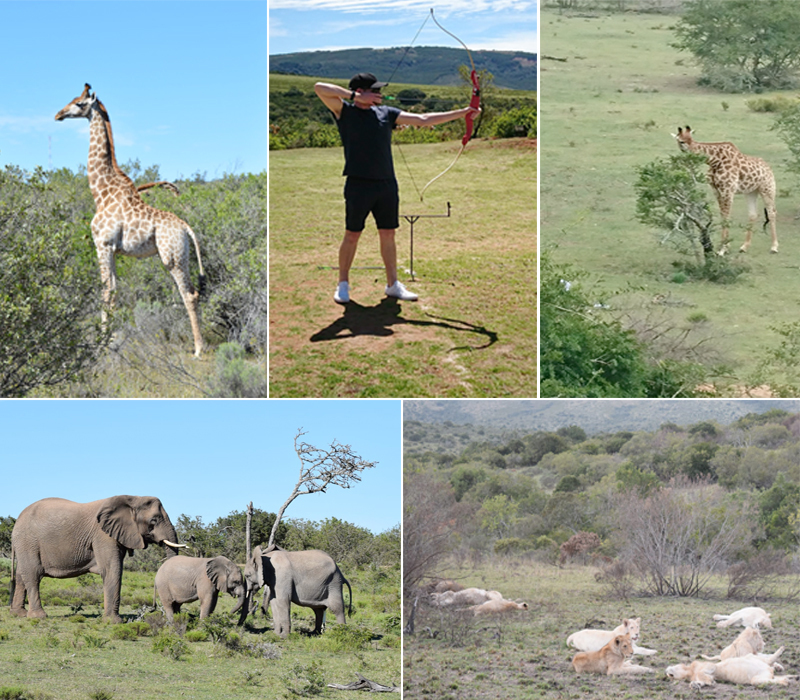 You get to go on two safari drives every day which is great so you don’t miss out on anything. We also did some activities such as archery with one of the rangers. During our stay we had a complimentary massage at the spa in the bush lodge and stayed here for lunch, which was as lovely as the ones at the water lodge’. ‘On the next day we had another early flight to leave for our next destination and we were given breakfast boxes with sandwiches, crisps, juice and cereal bars, which was very nice of the staff to do. Even though our three amazing days here came to an end, we loved every minute of our stay. 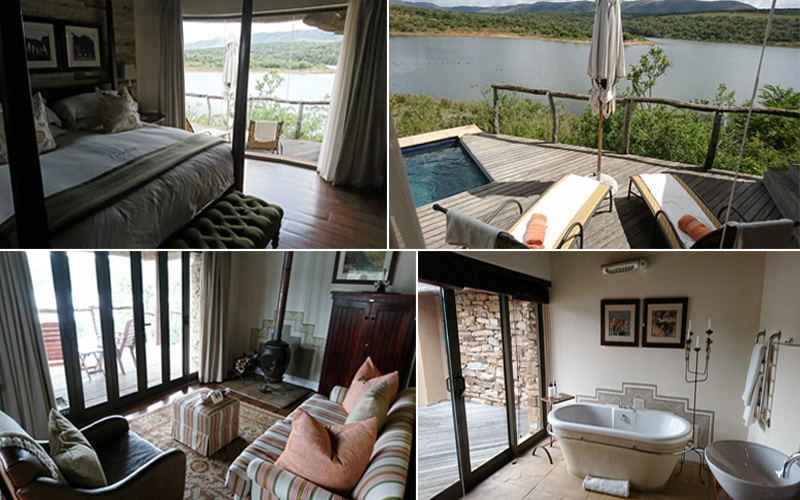 I would recommend staying here as the Pumba Private Game Reserve & Spa was unbelievable, our favourite by far. It had great service, lots of good food and plenty of little touches that made us feel special’. ‘We travelled most of the day to Mauritius, our last destination for our honeymoon. On arrival to our resort for the next seven days, The Ravenala Attitude, we were given a welcome drink while checking in. Dinner and drinks for the mini bar were also delivered to our room. The room was quite big with a spacious living area and the views to the beach and the sunsets were really pretty’. ‘The next day, we had a breakfast buffet which was varied. After breakfast we had a tour around the resort to show us all the facilities. We mostly spent the day at the beach, the drinks would not stop coming, the beach bar staff were outstanding’. 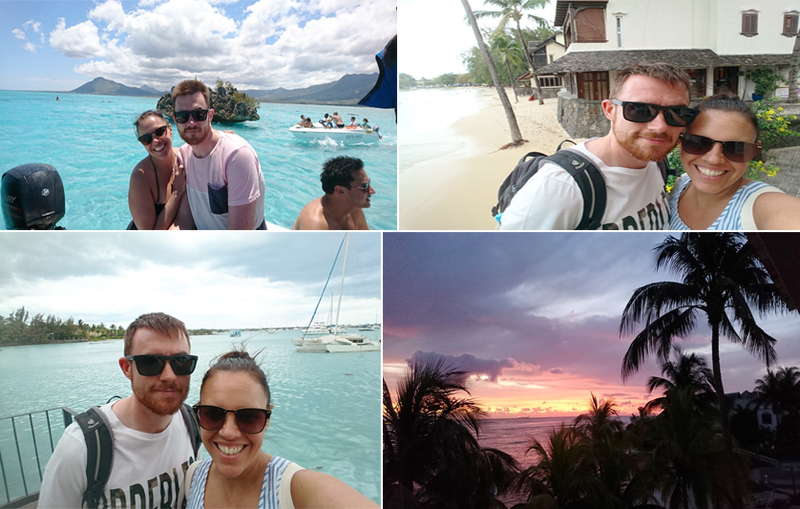 ‘Whilst our stay in Mauritius, we spent the week mostly laying on the beach, sipping cocktails and eating lots of lovely food’. ‘However, we did do kayaking on one of the days which was offered by the hotel at no extra charge. 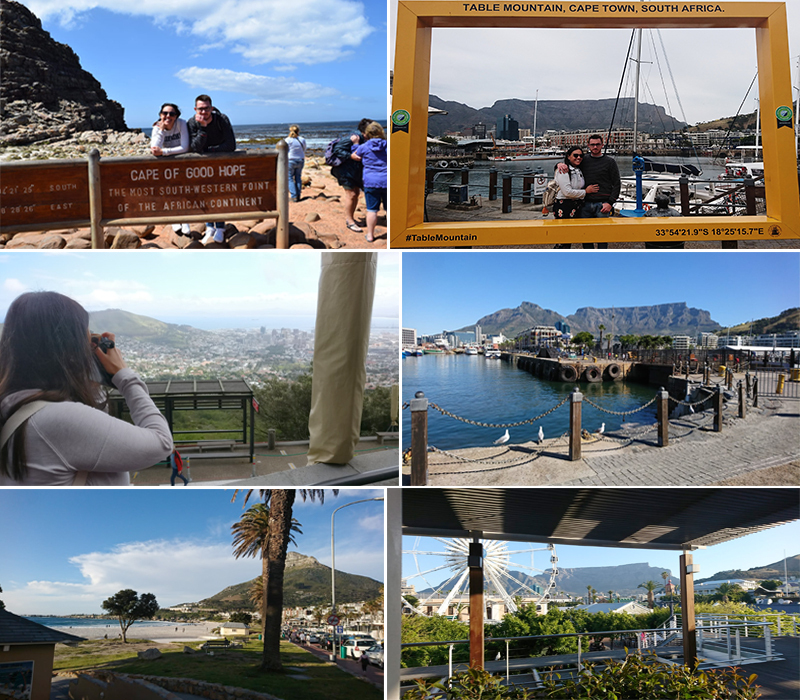 We went on two day trips outside the resort, one to Grand Bay and a boat trip swimming with dolphins, Crystal rock and Benitiers Island. Unfortunately, as the weather was too windy, we weren’t able to do more water sports’. ‘When we came back from dinner on our last night, the room was decorated with petals and some goodies were left for us too, which was lovely’. 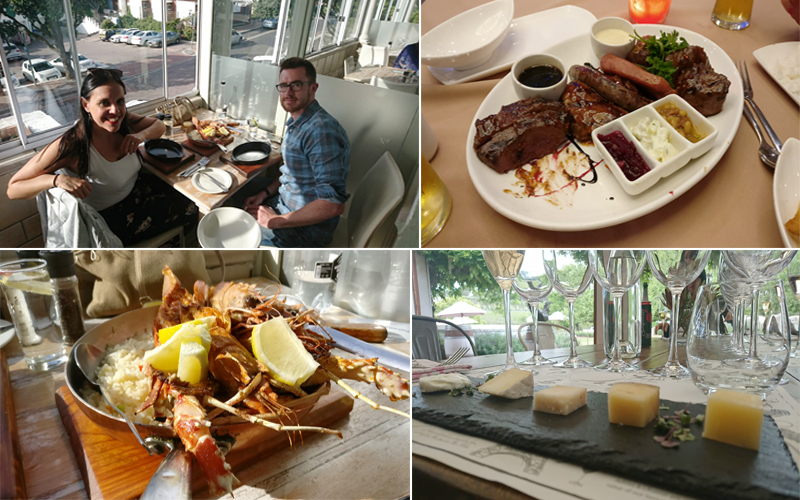 ‘Overall, The Ravenala Attitude was very nice, lots of different restaurants and excellent service, especially on the beach where we had drinks served constantly without having to chase someone to serve us. Our favourite restaurant was the O beach as it had excellent Mediterranean food, although most restaurants in the resort were really good. The only downside to the resort was the beach, quite small and not what you would expect from a beach in Mauritius’. What were the highlights of your honeymoon? 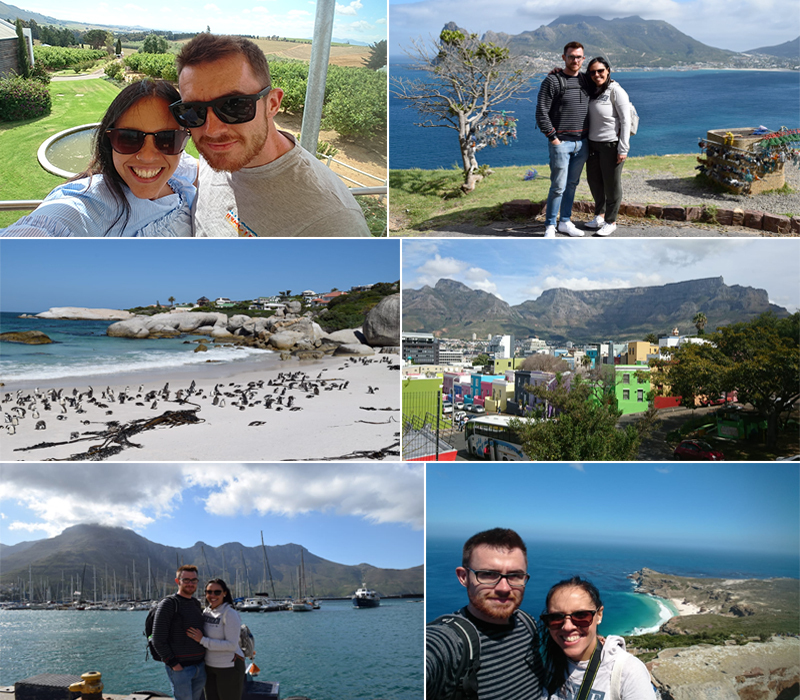 ‘In South Africa, the drive up to Cape point was absolutely breathtaking and the safari was by far the best part of our honeymoon, not only the game drives were amazing but the location was a dream and the little details made our stay unforgettable. 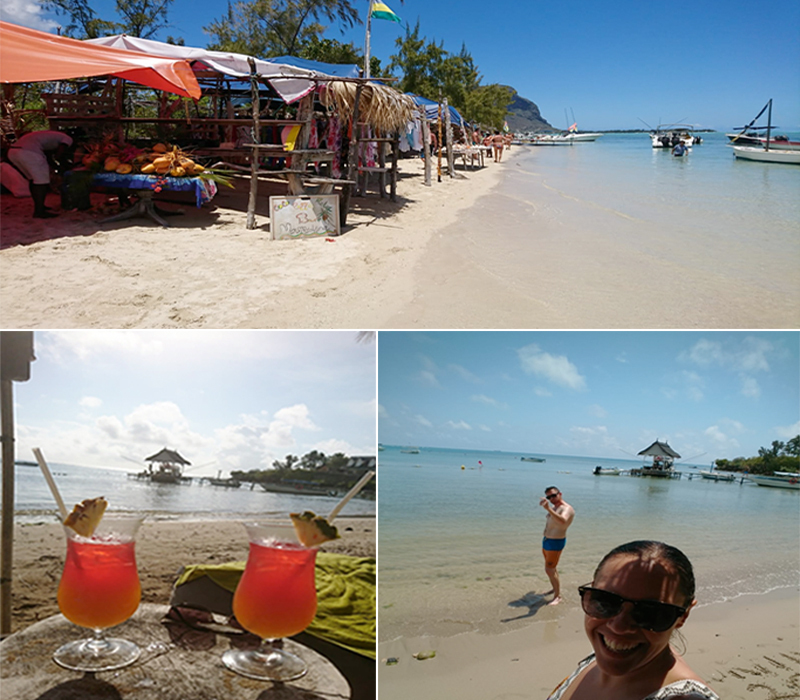 However, in Mauritius, the trip to Benitiers Island was our favourite part as the beach was one of the most beautiful we had ever seen’. 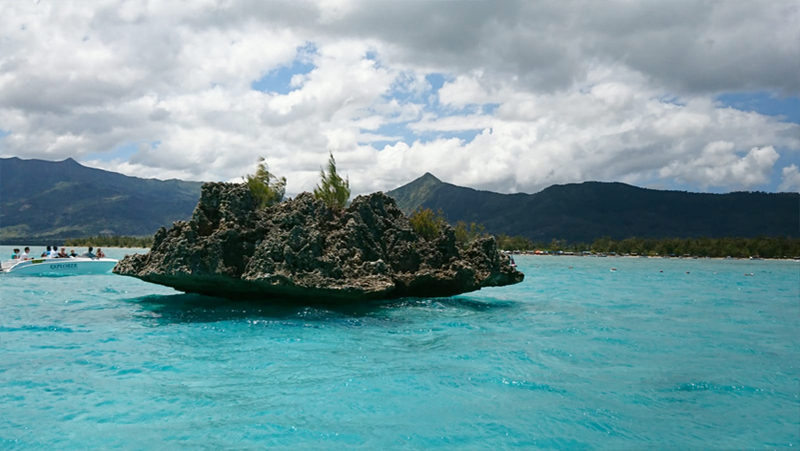 Any tips and recommendations for other couples visiting South Africa and Mauritius? 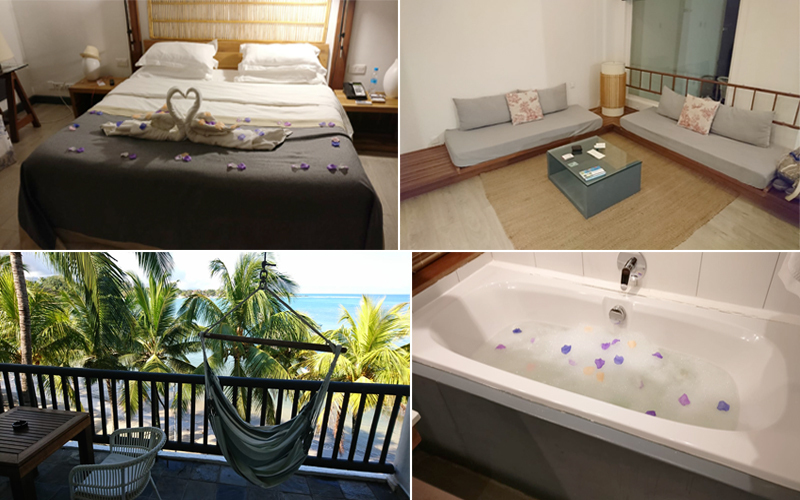 ‘We loved everything we did but for beach lovers I wouldn’t recommended the Ravenala as the beach was small, muddy and rocky, although the resort is lovely and the staff are very helpful. 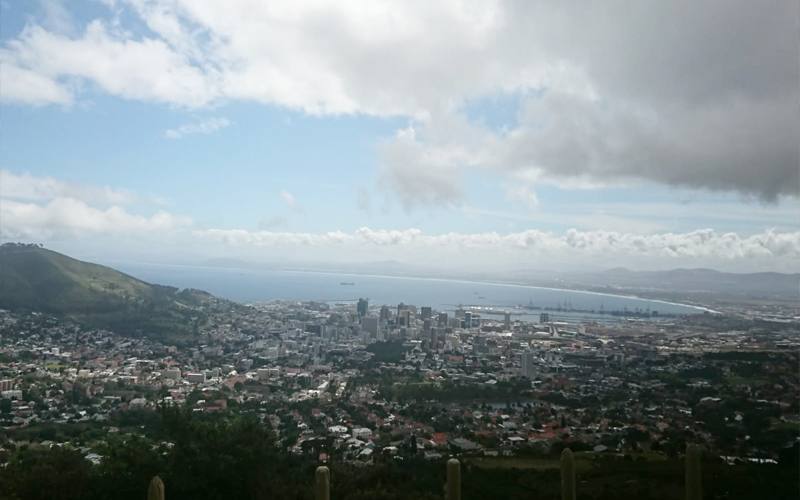 I would avoid going to Table mountain when cloudy, it is a complete waste of time and money as you can’t see anything’. How was the service that you received from your Travel Agent during your booking process? ‘It was lovely, Abbie was very helpful and managed to find us a really good offer to beat a competitor travel agent. Thank you to Abbie’. Inspired by Paloma and Russell’s amazing honeymoon experience? For more information about a honeymoon package to South Africa and Mauritius, please contact us on 0121 440 6268.